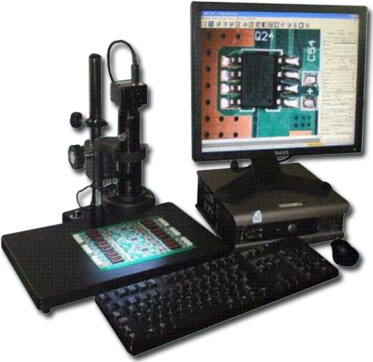 The MSS 130 Digital Video Inspection Scope includes plug-and-play to any computer system, a multiple Image tool for image enhancement and clarity, and a measurement tool for shapes such as line, circle, angle, center point, and arc. It works with a variety of lenses and lighting which are fully controllable. It can also be networked with multiple digital scopes. Plug to computer and play system. Multiply Imaging tool for image enhancement and clarity. Can use with various lens and lighting with controller. Measurement tool for line, circle, angle, center point, and arc. Functions of save file, print, edit, and work with all size monitors.